There are currently four board positions open for MTN. The positions are appointed by the city of Minneapolis. To be considered for this important community service position you must have your application in no later than November 8, 2013. If you are interested, this link will lead you to all of the information you need to begin the process toward being on MTN's board of directors. MTN is seeking candidates from every background and every part of the city of Minneapolis to serve. 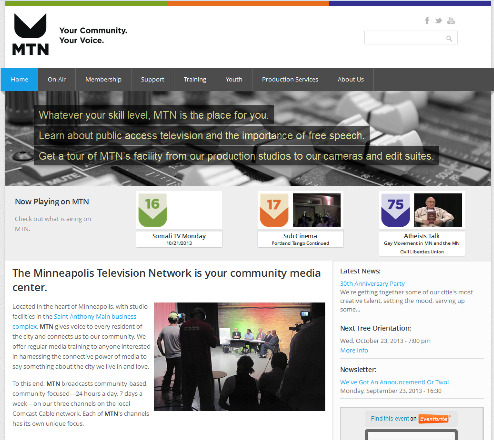 MTN is a public non-profit corporation that serves Minneapolis by addressing the city's information and cultural needs through the production and broadcast of community television programming on local, dedicated public cable channels. MTN's board members play a vital role in the vibrancy and sustainability of community media in Minneapolis. For more information you can also contact Michael Fallon, MTN's executive director, at 651-331-8575 or michael@mtn.org. The ongoing fundraising project, will finish in January 2014. 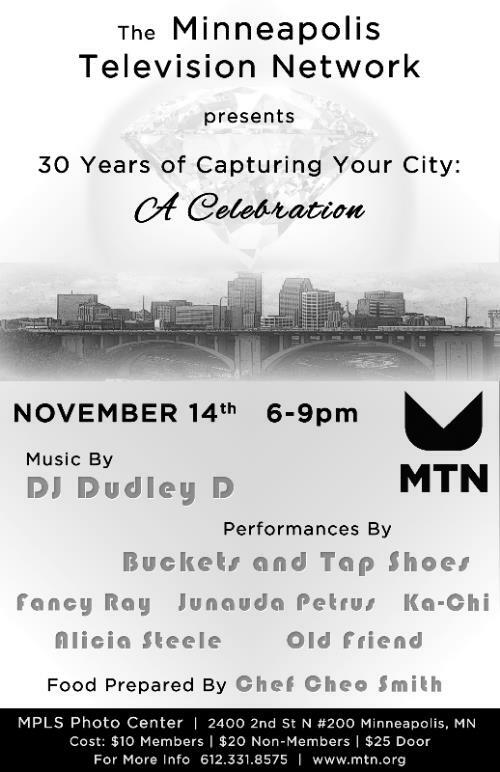 Community Members can check out our "Youth Booth" at the Anniversary Party on GTTM day and donate there. MTN youth will be projecting video from the party all night. Your Short, in a Storefront? Artists in Storefronts partners vacant and under-used commercial storefronts with local artists to create public exhibits within those spaces, a collective urban walking gallery! This time around the organization is hosting a medium they haven't in previous showings, film shorts! Follow the link and see how your short could be in the coming "gallery". Remember that you can always send an email to MTNYouth@mtn.org if you have any questions regarding MTN's youth programming. You can follow the youth department on twitter at @MTNYouth. Keep the kids in mind and please remember to support them on Give to the Max Day! Purchase 30th Anniversary Tickets Here!